I chose an out of the way place…a little wine bar name Pinkerton on the corner of ‘where the hell am i’ and ‘this doesn’t look like brooklyn’ street in Williamsburg. 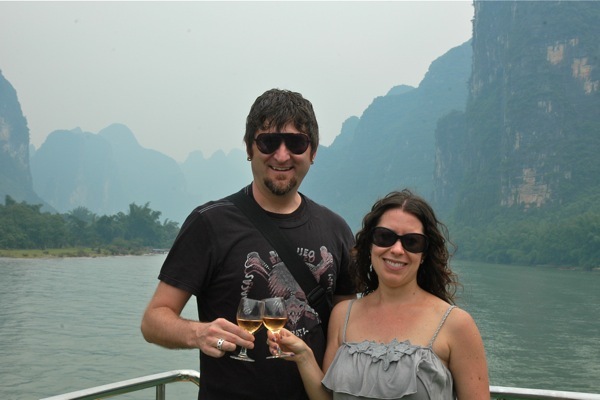 The intent was to meet up with a friend of a friend who just so happen to be in the wine importing / distributing biz just to get an idea of what it might take to bring in the delicious wines from Canada to share with our friends here in NYC. The bar vibrated rather peculiarly for an early Wednesday evening when I noticed a stack of books in the corner and an eager sign begging me to buy a copy of tonight’s guest authors book. 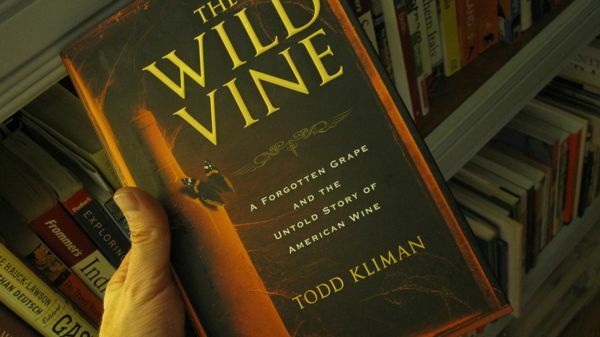 I had randomly stumbled on a reading by Todd Kliman – The Wild Vine: A Forgotten Grape and the Untold Story of American Wine. Pablo, Keith (the distributor guy from Omniwines) and Annoushka joined to celebrate the evening’s events – a big win by Spain in the World Cup, Keith’s birthday and now a reading by our lone US authority on the history of Missouri wine. We started off with a cool crisp sparkling rose from Spain (of course) and waited for our sampling of America’s mother grape – Norton. Todd read a few passages from his book as his voice strained to screech over the struggle of the air conditioner (it is 90 degrees after all). Nice enough and I do intend to read the book – especially since i’m a huge fan of the recount of the phylloxera epidemic in The Botanist and the Vintner in which America’s grapes come to the rescue of the French. 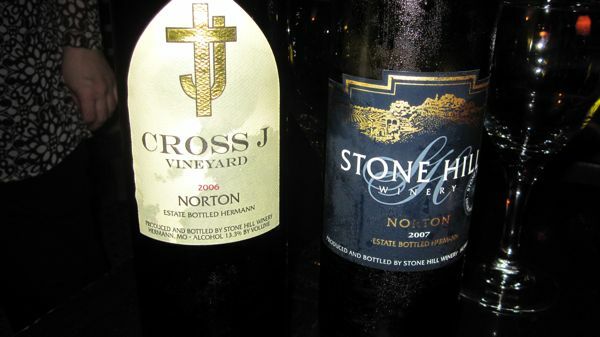 There were two chilled bottles presented to us – Cross J Vineyard 2006 from Stone Hill Winery and the 2007 Stone Hill Norton. 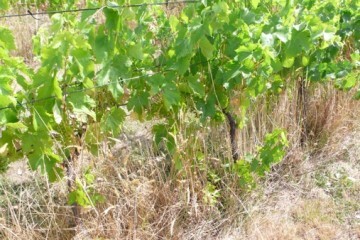 The latter was a gamey fellow – with a leathery chewy barnyard front and a flash of acidity that made my cheeks squeak. 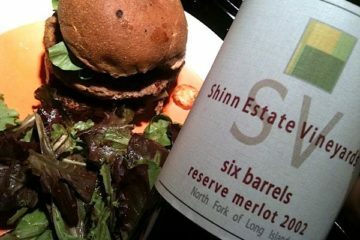 The former was a much better pour – bringing the cherry fruit up front with an earthy bounce on the end that was quite nice. New York never ceases to amaze me with its dumbstruck coincidences. I learned about our country’s historical grape treasure – Norton – and my hopeful future in wine importing all in one blink of an evening.